Hello everyone! Today I was luckily enough to score an interview with Joel Lawrence. 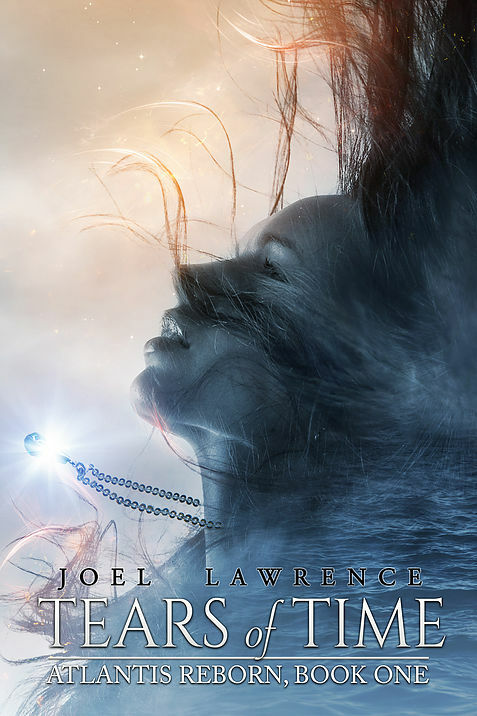 Joel Lawrence is new to the Oftomes author list and has his book Tears of Time being published by them. I was super happy to get the chance to interview him because he seems like such an awesome guy, and to no shocker, he definitely was! Joel Lawrence is an American Millennial from the Midwest who comes from a game design background creatively. He’s always been a big reader, and honed his writing craft through short stories and game documentation before attempting his first novel. When one of his professors praised his writing and asked if he’d ever been published, Joel decided the time had come to try his hand as a fiction author. Nearly half a decade and a lot of learning later, he’s thrilled about his upcoming debut novel, Tears of Time, set for a September 2016 release. Though he’ll take lakes, horses, and bonfires over clubbing, life experience is the key to great fiction, so everything is fair game. 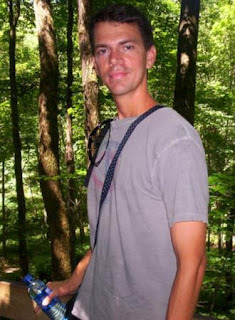 For reading, he enjoys Tolkien, Rowling, and all the big names in fantasy, and he’s recently developed a love for all things YA. Sabrina: Hello Joel, its lovely having you here today for an interview. Why don’t you start off by telling a little bit about yourself? Joel: I'm a Midwestern guy who will take rock over rap, kayaking over snowboarding, and wine over beer. I've always been stronger at creative, "right-brained" endevours than math/science. So writing comes fairly natural to me. Though learning to go from simple short stories and game documentation into full length polished, and edited novels was a long process. I'm still learning, but I feel I've developed a strong foundation. Sabrina: What was your initial reaction when Oftomes decided to publish your book Tears of Time? Joel: Extremely hyped. That feeling has yet to subside, which is great since I have a million things to do and the extra energy is welcome! Ben "got" it right away, and wasn't concerned about the "hybrid" fantasy style of the Tears of Time plot. He knows it's a strength, and will go over well with a broad portion of the YA market. So now it's just a matter of getting the word out. It didn't take me long to get fully on board with Oftomes. It's going to be a wild ride. Sabrina: Where did the premise and ideas first spark for Tears of Time? Joel: The idea sprang from my desire to write a contemporary story, while not totally abandoning my fantasy roots. Straight fantasy was what I grew up reading, and what I wrote for my first two novels. However as my writing improved, I wanted to try a story that fell into a reasonable word count range, and with a contemperary setting--something more marketable. So the Tears of Time idea started when I decided to do a two worlds style fantasy, where I'd be exploring new territory writing contemperary, but at the same time have a more familiar fantasy world in the background. That triggered a roller coaster of brainstorming. I didn't want to do magical wardrobes or dimensional portals or traditional time travel. Reincarnation seemed like a fresh way to link the two worlds, and that meant grounding the fantasy somewhere in the historical past. The Bronze Age, and a mythological/historical take on Atlantis seemed perfect to me, and everything started coming together from that premise. Sabrina: Do you need anything specific while writing to get you motivated? Joel: For me, it's about getting enough sleep, having enough energy, eating many small meals instead of one large meal that tires you out, and achieving peace and quiet. So I try to work out and step away from the computer and get outside at least once on a day off, and I do the "listen to inspirational music" thing before writing, not during. So for me it's just about achieving comfort and no mental or physical distractions. Sabrina: Who are some authors that inspire you? Joel: As a child, I'd say Tolkien and Mark Twain. Later I really fell in love with Robert Jordan, George RR Martin, and J.K. Rowling. For recent YA, I'm inspired by Jennifer Armentrout, Victoria Aveyard, Cassandra Clare, Melissa Landers, and many many more! Sabrina: What are two quotes that you like to or at least try to live by every day? "Give more than you take"
A runner up, because it's not quite as snappy, but still very true, is the great Viggo Mortensen's take on managing one's time. Sabrina: If you could spend some of your life travelling from the real world and a fictional one, which one would you place yourself in and why? Joel: An even cooler question! So, when thinking back to the worlds I’ve been reading/watching, experiencing them from the outside would be a lot different than traveling there personally. While it would be awesome to meet characters from Game of Thrones, Walking Dead, the 100, the Hunger Gamers, for example, I'd never want to visit those brutal worlds (unless I was Daryl Dixon and had a crossbow with perfect aim and a fangirl character shield! Kidding, kidding! (ducks). I'd want to experience a fun fantasy world, because I grew up with Tolkien and Wheel of Time and Harry Potter. Harry Potter I'd pick for runner up, post Deathly Hallows. There's tons of amazing things to see and do, and I'd love hanging out with almost every character, Slytherins too! But ultimately it's still a magical world overlaid over the real world, and I love pure fantasy, so I'd say my final pick for fictional world to visit would be Erilea from the Throne of Glass series. Celaena's world is full of magic and fantastic places and people, and sure there's a lot of brutality there, but I'd risk visiting it over "blink and you're dead" Westeros any day! Sabrina: Do you need a certain space in order to feel comfortable writing, or can you write anywhere and everywhere? Sabrina: What are two pieces of advice you would give your readers when we begin to enter the world and book you created? Joel: 1) Keep an eye out for clues and background references, for those who enjoy digging deeper into the tapestry of a world. 2) For those who are more into a light, escapist type read, fear not, I tried to give Tears of Time a fast, fun pace, and it shouldn't lose you if that's how you want to read it either. Description: Cal State freshman Eden Ellis feels like a stranger in time, and her dreams are growing more dangerous each night. Is she really the reincarnation of a Bronze Age princess, or is that just the medication talking? Eden’s new telekinetic powers feel real enough, the same abilities used to wage an apocalyptic war in the dream world, where an ancient kingdom struggles to survive the wrath of a fallen priest. When Eden’s friends start having similar nightmares and developing powers of their own, she realizes one of them may be the reborn soul of the villain from the dreams who nearly shattered the world—a madman, a traitor, and the lover of Eden’s past self. When a government experiment using the same powers that started the ancient war goes disastrously wrong, Eden’s dreams hold the key to saving the future—if she can accept her dual identity and defeat the reincarnation of the man she used to love.